This is a very sweet, simple set of cards that offer a nice diverse range of characters and each card has an easy how-to-do-the-pose on the back. One thing I really liked about the cards was the inclusion of the Sanskrit name for each pose, along with the made up English name. I really liked this because it extends the diversity of yoga past the new inception of yoga, into the ancient and historical and shares this ancient language and opens up dialogue for the deeper teachings of yoga, not just the poses, which is especially helpful when teaching teens. Included with the cards is a booklet with some ideas on how to use the cards and jumping off points for more creative adaptation. These are a great addition to my teaching practice and my students really like them. Ms. Hughes and Mr. Smisson have successfully teamed up before in two books the promote mindfulness and yoga for children: Striker, Slow Down and Go Yogi! (book). These cards make a great complement to those books. I love Qi gong! Qi gong is an ancient Chinese art of movement and breath meant to balance the body’s energy (the qi, chi or prana) in order to achieve optimal health and well-being. This book introduces children to the benefits of qi gong by helping them to connect their feelings and bodily sensations to their inner voice. 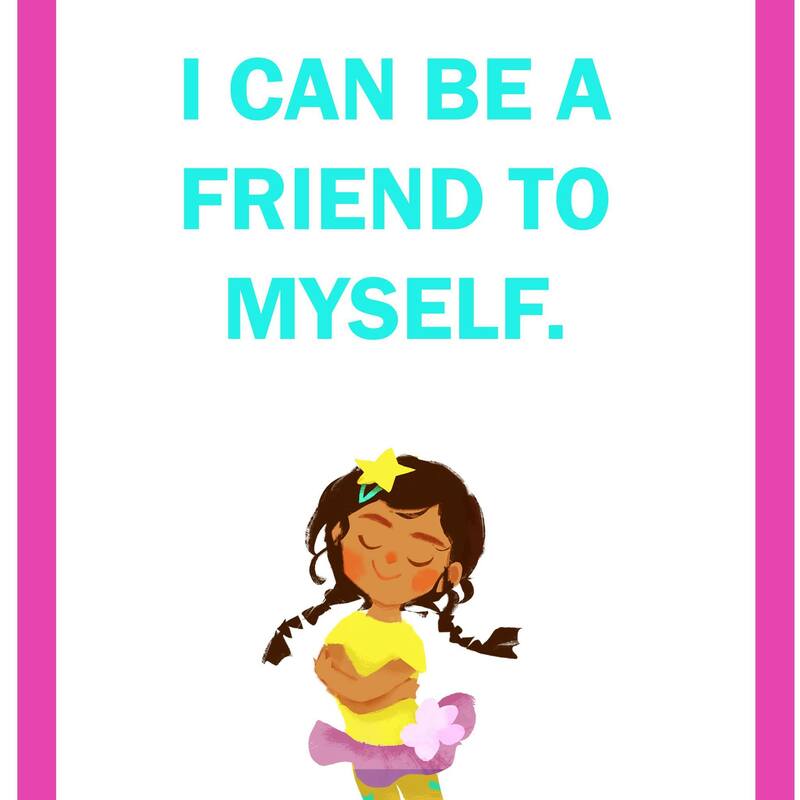 Through varied exercises including connecting to self-love, resonating sounds, visualizations and affirmations, this book helps children purge themselves of negative emotions and ways of thinking and to replace them with more healthy thoughts to create a more vibrant, radiant, self-assured and calm persona. A special shout out to for the cute, expressive illustrations. They are simple and child- like but are also richly detailed. I loved the creative mixed-media collaging effect of real objects blended with drawings. This is a great book for infusing children’s lives with mindfulness and positive social- emotional strategies. I highly recommend it! This is a great book for teens or those teaching teens. 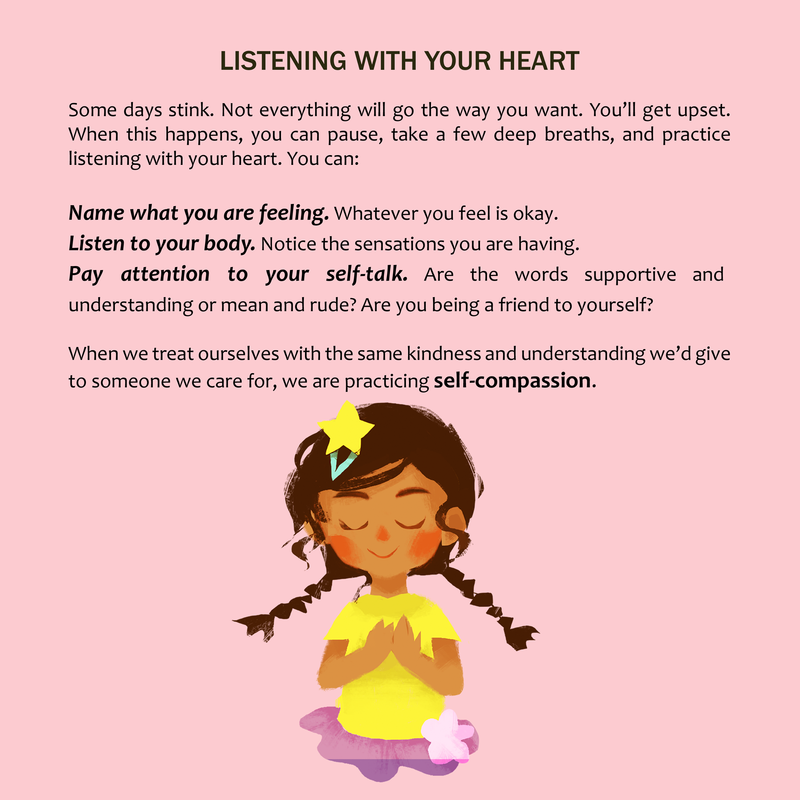 It is highly interactive and focuses on listening to your inner voice. There are nice descriptions of postures and plenty of activity pages that include art ideas, writing prompts and body, mind, soul activities to help sort out emotions, feelings and bodily sensations and to promote mindfulness. The black and white illustrations invite you to color them to add a splash of color to this very informative and easy to use yoga manual. Thank you to Jessica Kingsley Publishing for sending me these books. All opinions expressed are my own. Categories: Always Be Dancing Mindful Movement, blogging, Book Review, Mindfulness, Writing, yoga | Tags: children, health, kids, Mindfulness, teens, youth | Permalink. I was so excited to receive my copy of Sitting On A Chicken, The Best Ever Yoga Games To Teach In Schools by Michael Chissick. I discovered Mr. Chissick awhile back when I reviewed Seahorse’s Magic Sun Sequence, how all children (and sea creatures) can use yoga to feel positive, confident and completely included. What I like most about his work is his focused attention on how to make activities wholly inclusive. In Sitting On A Chicken, using clear lesson plans, complete with intentions and learning objectives, Michael shares highly accessible yoga and mindfulness games to implement into your classrooms. Mr. Chissick is very imaginative and has created some very original, fun-filled yoga games that teach mindfulness. These games are designed to be all inclusive to ensure “that all children are included irrespective of needs, culture, shape, mood or size”. I could not say that any better! Full Disclosure: The publisher sent me a copy of this book. All opinions are my own. Categories: Always Be Dancing Mindful Movement, Book Review, children, in school yoga, Special Needs, yoga | Tags: Always Be Dancing, Book Review, children, inclusion, kids, movement for everybody, yoga, youth | Permalink.